We make sure that there is a car out there for every possible budget on the lot at Sames Bastrop Chrysler Dodge Jeep Ram. That’s why we keep a wide selection of used vehicles under $10k in stock. 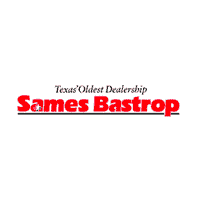 Turn to Sames Bastrop Chrysler Dodge Jeep Ram for excellent used car specials in Cedar Creek. Browse our inventory below! Stay Within Your Budget at Sames Bastrop Chrysler Dodge Jeep Ram! It doesn’t matter whether you’re looking for a used Chrysler, Dodge, Jeep, RAM, or another make. You’ll find them here at our dealership. Take some time to determine your monthly payments with our online auto payment calculator, and even get pre-approved by applying for financing online today. Once you’re ready to buy, contact us online or come visit Sames Bastrop Chrysler Dodge Jeep Ram, just a short drive from Del Valle.